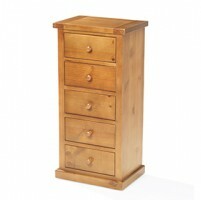 Just the thing for keeping you organised in smaller rooms or slipping neatly into a corner or other narrow space, this versatile chest stands tall on a compact footprint and offers ample storage within the confines of its five roomy drawers with antique-style handles. 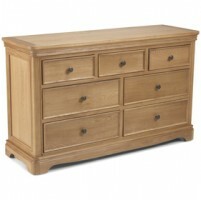 Pretty as well as practical, it's been inspired by French country furniture and authentic detail abounds in the tapered cornice, chamfered edges and cut-out plinth. 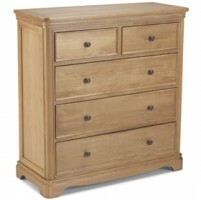 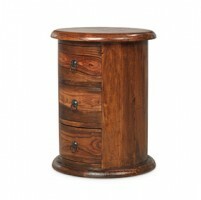 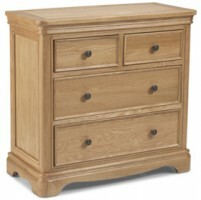 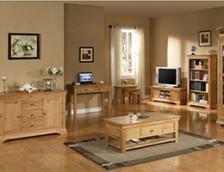 Crafted from oak and oak veneers, its rustic beauty is maintained by a Wax Lacquer Finish.